If you ever wanted to flash your phone, then we are sure that you know about flasher KDZ. For example, you need to install a clean factory LG Firmware L7 II. There may be different situations - you have played enough with custom LG firmware L7 II and you want to get everything back to the original condition. Below we give instructions for the LG Firmware L7 II with KDZ flasher. It is important to remember the different nuances that can later affect smartphone performance. It is worth emphasizing that the below-described manipulation of the phone software may eventually lead to breakage. Therefore, if you are not sure of its success, it is better not to begin. Carefully think about it! • A fully charged smartphone. 1. 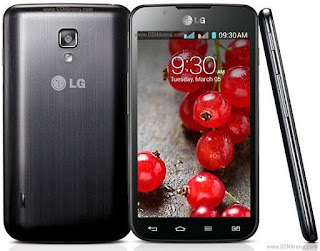 LG Firmware L7 II download and install the driver. 2. Unzip archive to a folder called flasher KDZ_FW_UPD, and then move it to the root of the drive "C". 3. Copy LG Firmware L7 II in «.kdz» format in it. 4. Next you need to turn off smartphone LG L7 II. 5. Hold the power button and increase volume key. We are waiting for the vibration, then release the buttons. You will see "Emergency Mode» on display. 7. Connect smartphone to our computer. 8. Next you need to run the flasher KDZ_FW_UPD. 9. Select in the Type «3GQCT» field. 10. In the field PhoneMode you need to select EMERGENCY. 11. After these manipulations need to specify the path to the LG Firmware L7 II file. 12. Click Launch Software Update button. 13. Then process LG Firmware L7 II had to start the (it is important not to disconnect smartphone). 14. When a smartphone is completely overloaded and ask to carry out selection of the connection type, then choose “Software LG”. 15. We expect the notification on the full completion of LG Firmware L7 II process. Close the window flasher and disable the phone. After the flashing is complete, it is better to make a hard reset. You can do this on such way: "Settings" - "Privacy" and "Reset Settings". If you did everything right, the smartphone LG G7 II will run smoothly and with new features. We hope our article will help a lot!